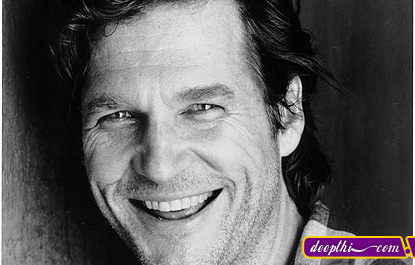 Jeff Bridges born in Los Angeles, California, USA, the son of actor Lloyd Bridges (1913�98). He appeared in the television series Sea Hunt as a child, and after military academy and the coastguards he became a professional actor, receiving Oscar nominations for The Last Picture Show (1971), Starman (1984), and Tucker (1988). Later films include The Fisher King (1991), Fearless (1993), The Mirror Has Two Faces (1996), K-Pax (2001), and Seabiscuit (2003). He had his first major success with a leading role in Peter Bogdanovich's The Last Picture Show (1971), for which he was nominated for an Academy Award. Two years later, he won yet another Oscar nomination, this time for Best Supporting Actor in Thunderbolt and Lightfoot (1974). Bridges worked steadily throughout the rest of the 1970s, starring in a number of films, including Hearts of the West (1975) and Stay Hungry (1976). The 1980s brought further triumph, despite starting out inauspiciously with a part in the notoriously ill-fated Heaven's Gate (1981). In 1984, Bridges won yet another Oscar nomination for his leading role in Starman and continued to find acclaim for his work, in such movies as The Morning After (1986) and The Fabulous Baker Boys (1989). The latter featured Bridges and brother Beau as struggling musicians, as well as Michelle Pfeiffer in a performance marked by both the actress' own talent and her ability to roll around on a piano wearing a figure-hugging red velvet dress. Bridges began the 1990s with Texasville, the desultory sequel to The Last Picture Show. Things began to improve with acclaimed performances in Fearless (1993) and American Heart (1995) (the latter marked his producing debut), and the actor found commercial, if not critical, success with the bomb thriller Blown Away in 1994. More success followed, with a lead role in the Barbra Streisand vehicle The Mirror Has Two Faces (1996), and as a hapless and perpetually stoned bowling aficionado in the Coen brothers' The Big Lebowski (1998). In 1999, Bridges returned to the thriller genre with Arlington Road, playing the concerned neighbor of urban terrorist Tim Robbins, and then switched gears with Albert Brooks' comedy drama The Muse. In addition to his acting achievements, Bridges has also written some 200 songs, a talent which he memorably incorporated in The Fabulous Baker Boys. Bridges delivered a typically strong performance in 1999's Simpatico, which featured the actor as a horse-breeder embroiled in a complicated scam orchestrated by a once good friend, while The Contender (2000) found him playing a happy-go-lucky U.S. President suddenly forced to decide if his Vice Presidential candidate's rumored sexual escapades will affect his ultimate decision. Though K-PAX (2001) fared badly in theaters, Jeff's performance as Kevin Spacey's character's psychiatrist was solid, as was his role of a soft-spoken kidnapping victim in director Dominique Forma's Scenes of the Crime. 2003 was a polarizing year in terms of critical success -- despite an A-list cast including Bridges himself, Penelope Cruz, and Jessica Lange, Masked and Anonymous went unseen by most, and disliked by the rest. Luckily, Seabiscuit catapulted Bridges back into elite Hollywood's spotlight; the film is almost guaranteed to win at least one Oscar, and audience and critics alike praised Jeff's performance as a grieving salesman with an ability to sell almost anything to anybody. In 2004, Bridges is expected to star in director Tod Wiliams' Door in the Floor, which is based on John Irving's novel A Widow for One Year.